The following is a product review through PTPA and their advertisers. It’s not every day that your baby has a stuffy nose, but when they do, you want them to feel the most comfortable and help relieve the yuck. I had the opportunity to do just that recently with the NeilMed Naspira. 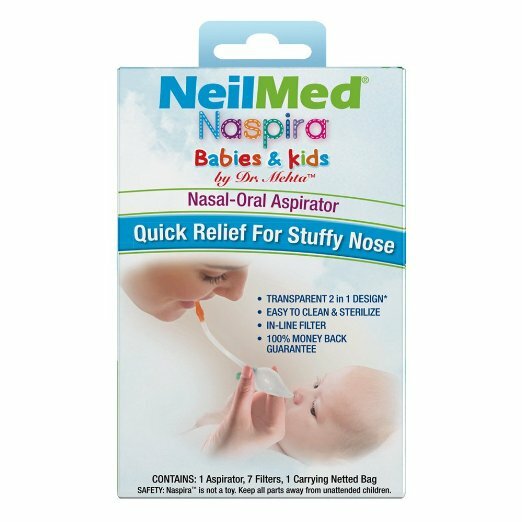 The NeilMed Naspira is an Oral Suction Aspirator that is great for quickly removing nasal congestion in your little one. 1) The suction when sucking air really worked well and quickly. I also appreciate that it comes with extra filters in case they get gross. We used this for solid 2 weeks with a virus and did not once have to change the filter. 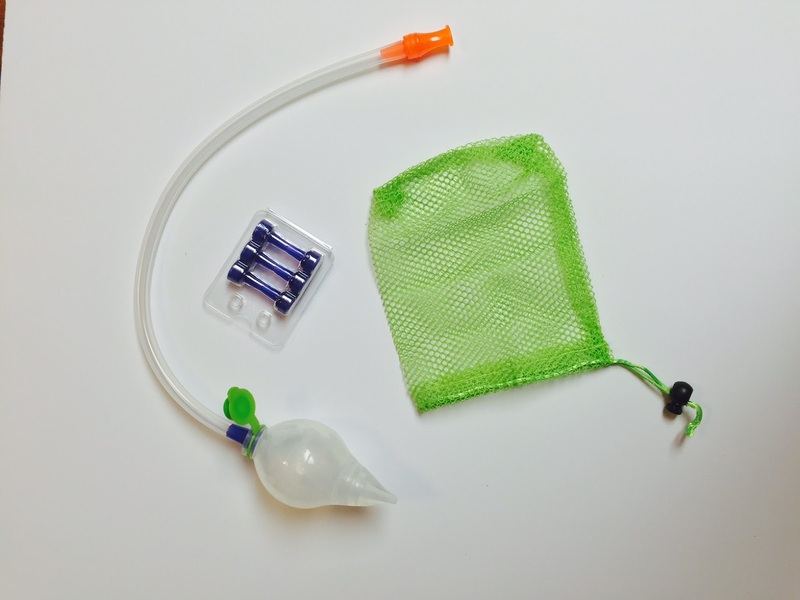 2) You can remove the mouth suction tube and use it as a traditional aspirator. My husband prefers this method. Even though the filter is there, he still gets a little grossed out. I’m sure other feel the same way. Great to have both options. 3) Dishwasher Safe – Probably my favorite feature of this product. After you tuck your little one into bed, just toss it in the dishwasher with all the sippy cups and you’re good to go! 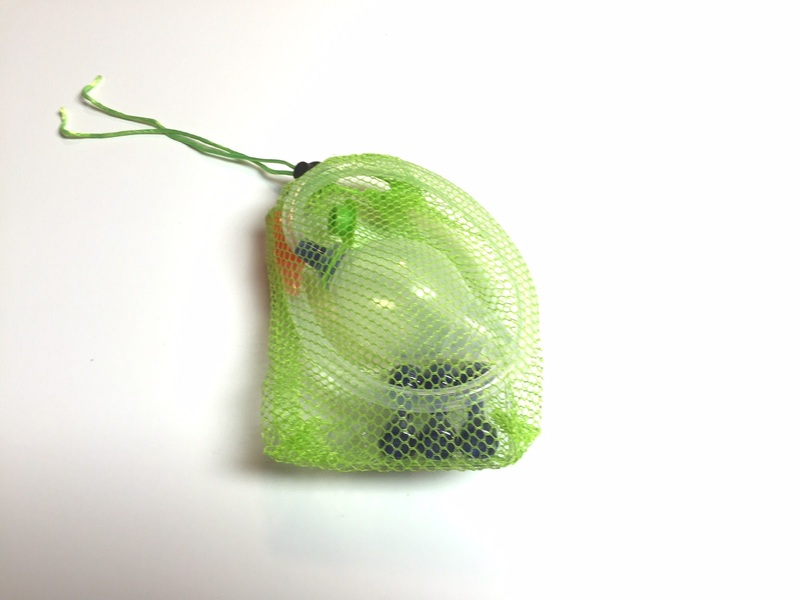 I also love that the NeilMed Naspira comes with its own carry bag that is neon green. I can easily find it in our linen closet when I need to access it quickly. Compared to other similar models on the market, I actually prefer this one. Even better, the price point is much lower, which all moms (and dads) can appreciate. Going forward, this will be a gift I start giving out at Baby Showers because I really do like the product. Overall, I would say this a great product for gifting and making your little one feel more comfortable. You can find the NeilMed Naspira at your local retailer and Amazon.